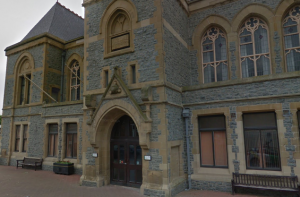 A jobs fair is being held in Denbighshire to help people find work. The autumn jobs fair will be held at Rhyl Town Hall on September 13 between 10am and 2pm. It is being organised by Working Denbighshire, the Department for Work and Pensions and Remploy and has been supported by the Denbighshire Employment Network. The jobs fair will focus on retail and logistics with employers attending with ‘live’ vacancies. Attendees can discuss vacancies directly with employers and apply for some roles at the event with those attending asked to bring an up to date CV. There will be a number of support organisations in attendance as well as workshops to provide help and advice. Working Denbighshire supports residents aged 16 and over who are furthest from the labour market back into education, employment and training, all of which are key priorities within Denbighshire County Council’s Corporate Plan. For more information contact Working Denbighshire on 01745 331438.